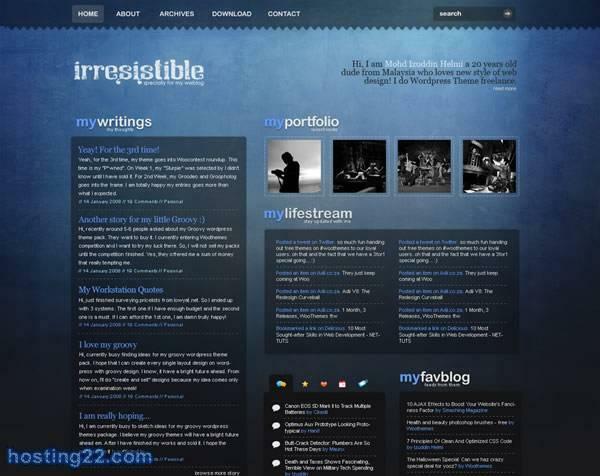 Irresistible is a visually-rich personal blog, with a little bit of a multimedia focus. Incorporating some nifty video-options and widgets, Irresistible should meet all of your personal blogging needs. Just add your content to the mix. But i cant see the download:( upload to more than what mirror with http://upload.apphacks.com 5 mirror in one second!